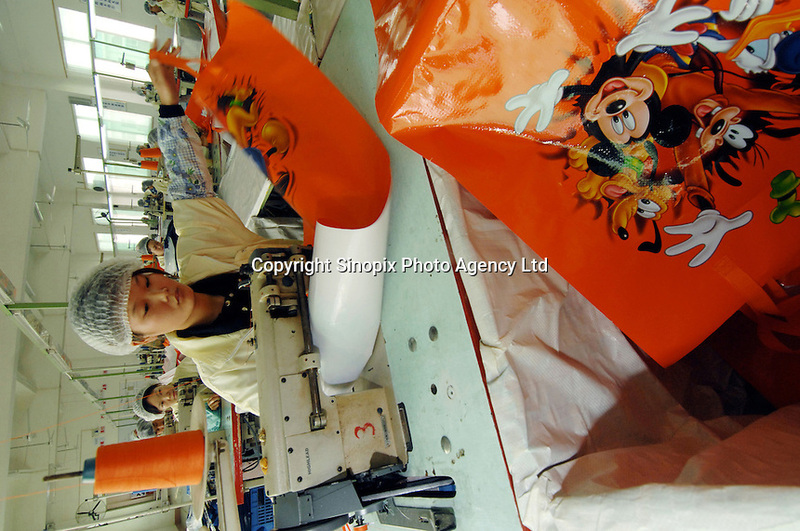 Workers make Disney woven plastic carrier bags at the Richall factory in Donguan, Guangdong province, China. The woven plastic bags can be used many times and are seen as environmentally friendly. The company makes plastic bags for several clients including Disney and Sainsbury's..